Hello, I just listened to a podcast about web comics, and felt all nostalgic for Invisibulia. So I made this one from some scrawlings I found in my notebook. UPDATE UPDATE: I think it’s all working now. 5. 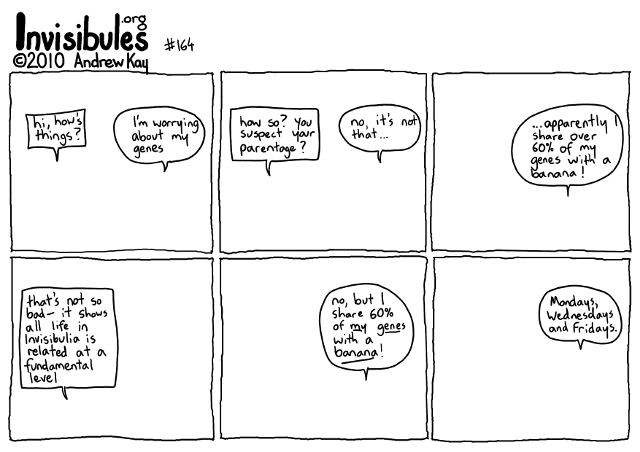 (no, but I share 60% of _my_genes_ with a _banana_! Oh! Oh! A new Invisibule! My days just got brighter! thank you — and welcome back!